Editor’s Note by Rick Roque: The Real Estate business is tough. Sadly, there are no loyalties. Each agent is largely out for themselves, while the broker and/or the franchise corporation reap the rewards. This dynamic between the real estate company and the agent has largely persisted over the last 15 years. If you are an owner of a real estate franchise or business, how do you build a community within your company amidst a commune of cannibals? In a market that boasts over 1.2 million real estate companies (yes companies), it can be difficult to build loyalty, stand out and genuinely build a legacy. The industry is a mix of people who work in real estate on a very part-time basis, along with those who spend their waking hours understanding their respective market, meeting with prospective clients, brainstorming marketing strategies, meeting with referral partners and, of course, building relationships with other key transaction stakeholders, such as mortgage, appraisal, title and legal partners. If you have the capital, leadership, and most importantly the vision, how do you grow a regional or national real estate firm? You focus on what others don’t do, and you seek to address the weaknesses in the business model of your competitors. As the market begins to breathe again, this is what EXIT Realty does effectively and is their reason for growth and success. EXIT Realty has created a unique opportunity for agents. They have attempted to address the ‘peak and valley’ syndrome of agents where their life (and business) is only as good as the last property they sold. The two dimensions of a real estate professional is taking listings and making sales; these are the two sides of the buyer-seller ‘coin’. EXIT Realty established a third way for real estate professionals to generate income that can tie together the business life of an agent between closings. This is a sponsorship/mentoring type program that allows existing EXIT Realty professionals to refer and/or bring in additional agents. Beyond their already aggressive commission splits – which can reach as high as 90/10 (with no desk fees) – the EXIT agent who referred this new agent to the company will receive a residual income stream paid to the agent by EXIT corporate every time the new agent closes a deal. And the best part? It doesn’t come as a split in the way the new agent makes money, so there is no pyramid scheme or multi-layered marketing system. It is a thank you from the corporation, paid out as a residual bonus for being a positive evangelist for the company culminating in attracting the best sales professionals in the business. Existing agents can sponsor as many new agents as they want into the business; the residual income into the business is uncapped, reflecting an opportunity for agents to make money on the closings performed by all of the agents recruited. There are two strengths to this model. First, it makes existing agents ‘raving fans’ and aggressive in promoting the strengths of their company; but secondly and most importantly, it builds a relationship focused on the success of the people you’ve recruited. It invests everyone into the long-term success of new agents. This model helps to systemically build a culture that enables agents across an office to help and support one another to close deals. This has been the missing ingredient in many top franchises, and the reason for their lack of loyalty and attrition. This is well presented both as residual income while the real estate professional is working, but also in a retirement program (retire-what?) where the residual income from the sponsored agents continues after years of professional service to the company and the industry. The Sponsorship benefit even converts to a beneficiary benefit. From an industry perspective, something this smart that can build community could only come from Canada with its founding roots stemming from its first office in Toronto, Canada in 1996. EXIT’s commitment to cloud-based technologies makes recruiting, training, and of course, keeping track of your residual income easy. As a result of this, EXIT’s success has been measureable and growth has been aggressive. 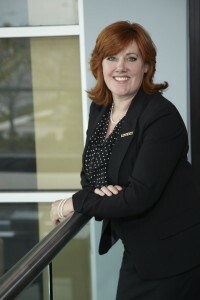 Since the growth and character of an organization tend to be a reflection of the leadership, I had the opportunity to speak with the U.S. President of EXIT, Tami Bonnell, while she was attending a CEO leadership conference in Dallas, Texas. She is a 25-year veteran in real estate, a sought-after international speaker on real estate and business development growth strategies, and is considered by many to be one of the top-100 most influential women in Real Estate leadership in the United States. : Hi Tami – I’m just getting my head wrapped around talking to one of the most powerful women in the United States when it comes to real estate (Barbara Corcoran); tell me your story. Tami Bonnell: I joined EXIT and bought the rights to New England in the late 90’s. In 2001, I became President of the U.S. organization focusing on regional owner and agent growth. I was made to do this job. I sold my first house when I was 13 years old. I love this business. I like the growth aspect of it; it is competitive, strategic, and smart and if you are effective, you can be very successful. I rely upon great people; they make me want to be better, and I, in turn, do the same for them. I operate very much how EXIT operates: team oriented, building a culture, making sure everyone around me is successful. This is our company, and it translates into every office and every role from around North America. The founder/CEO sincerely focuses on the entire person. He started the company in Canada and in 1998, he moved into the market here in the United States. I understood his vision and how he wanted to grow a company that provided both agents and consumers with a different experience. As a woman, I started working very young, early on – it was a different picture; it was male dominated. EXIT gave me an opportunity to lead the American market and it has grown ever since. It is a relationship that has invested in everyone’s success. It mirrors our company philosophy and what every agent can do in their respective markets. : What is the business focus of EXIT Realty? Tami: We are a real estate franchise firm, selling franchises across Canada and the U.S. – with new regional opportunities. Since the markets across the United States and Canada are improving, we are looking for high-caliber people. : I love what you are doing with EXIT. We wish more real estate firms were as committed as you are to building agent loyalty and, of course, looking at all of the relationships involved in the Real Estate transaction. Tami: Well, for starters, we are getting an excellent response from your publication – there is an exclusive feel – and with many of the real estate publications, it has been the same old, same old thing: vanilla. You have established something fresh and important. You have bridged that gap between mortgage and real estate so they work more closely together. Mortgages are central to the transaction, everybody on the transaction – appraisal, home inspector, etc. It is a team effort, really. This is our approach at EXIT. We don’t just say ‘team’, we try to build systems so we can measure the big question: how do we get along? How do our agents get along with one another, let alone with the loan officer? All this impacts the experience of the consumer. This is at the heart of everything we do. : Very smart and true, Tami. Yes, we agree. The Niche Report has successfully bridged two disparate industries and bound them together in a publication. I am glad you get what we have accomplished and that the net result can be a benefit to your agents. What is the real estate industry about today? Tami: Real Estate is about relationships. Some people say it is about technology, but it isn’t. Technology can make things happen – bigger, faster, more transparent and visible – but it isn’t a substitute for the relationship. Our approach is to leverage a cutting-edge commitment to technology, but to serve the purposes of a relationship – both with the consumer and all the partners that make the consumer experience what it is. The consumer wants transparency and service. We leverage technology and our e-platform to educate our agents on the most up-to-date and accurate market information. We are the smartest in our approach to relationships, and with this, we become the best. As the best, we will become the biggest. That is our formula. : What makes EXIT different? Tami: What is our differentiator? What builds trust and the relationships we have is our ability to provide information, how it comes together and how it is applied. It is important to support and nourish with information the ‘dirty dozen’. I’ll explain the dirty dozen further, but it is important to remember that agents are shifting companies. Agents are shifting companies because they are unhappy, but there is a desire for people to stay. They want to stay. The most important thing is, agents want skin in the game for all parties – and not just their own; they want to see that their company is invested in them as much as they are invested in their real estate firm. We recognize that our assets are good agents, and everything else exists simply to support them. TNR: The Dirty Dozen – What is that? Tami: It is important to establish your ‘dirty dozen’ (see The Niche Report – May issue). As a real estate professional, It is important to broaden your network to a core ‘dirty dozen’ so you can both listen to the market and grow within it. This dirty dozen keep you plugged in and up to date as to what is going on in the marketplace, while you contribute similarly. It puts you in both teaching and learning mode and it helps you keep in touch with what you should be focusing on, and stay on top of the market. : Ok – I get it. A core group of people who are both contingent upon you, and you upon them, throughout the buying or selling of a home. I am assuming some members of this team may even be non-housing related but can add some economic value or some out-of-the-box type ideas that may be applicable to your business. Tami: Yes, these are people who work on a larger scale; they can act as a good forecaster or barometer of the market. It is a way for people to add value to one another, and keeps you ‘out there’ and not behind a desk. As real estate agents, our jobs are always to look at the big picture and, of course, understand the details of each market. The goal is to connect, educate and use the tools around us so we can excel. In groups like this you begin to understand how important relationships really are. This makes the agent, the “Educational spigot,” give them what they want – information on their neighborhood, community etc., that is as mutually beneficial for their businesses as it is for yours. We’ve all heard of the Golden Rule –”Do unto others as you would want done unto you,” but there is a Platinum Rule, and that is, “Treat others simply how they expect to be treated.” This makes a lot of sense to me. : How do you leverage technology and how does this help you drive business? Tami: I utilize technology to better know my clients – Facebook, LinkedIn. People want to matter today. Everyone has a brand they are looking to build, and agents exemplify this. Everyone wants to matter in their professional lives. In order to build this, they want to break down the boundaries that traditionally separate people, employees and companies from one another. Technology is a great way to build community. EXIT is fortunate as we have an excellent technology department with specialists that understand both technology AND the real estate markets. This enables us to serve consumers, and not just sell to them. Technology, if used in the right way, can humanize the sales relationship. Look, consumers know more about their investment than anyone else. So, agents need to stop “selling people” – poorly trained agents sell way too much; consumers do not like to be sold. The goal is to leverage technology for top-of-mind awareness. We are human beings – you have three kids, an anniversary, something going on with your health – these are things technology can easily keep track of, send out notices, best wishes cards, etc. Technology ironically can transcend your interaction with the consumer so it isn’t just a transaction. 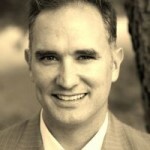 : What is the best way to build a real estate firm? Tami: Investing in your people. : You are right, Tami – most real estate agencies do not invest in their agents because it is assumed they will not stay, and you are only valued as much as you produce. What does that say for the industry when a company like EXIT is trying to do something different? Tami: Well, Rick, sometimes it is appropriate to advise your client that it isn’t the right time to buy, or to hold off for some perceived reason, etc. Being honest and losing a sale in the short term can pay much bigger dividends later if that is the right thing to do for the consumer. People need to know that you genuinely care. As a real estate agency, we want that client for life – we want them to feel they are drawn to us in a unique way. We are seeing this because this is more than a marketing slogan; it is something we systemically put into place in our agent-client relationships. : You are right; I hate the ‘customer for life’ marketing campaign because so few companies actually deliver on this promise. How do you successfully accomplish this? Tami: We don’t deal simply in real estate – we teach people how to be great real estate professionals, but we help people see the entire human being and the life circumstances behind buying or selling a home. Our agents need to understand the 30,000 foot view but they need to personalize things – the street-level view of where they are. So they know what is selling, what is important to people – what the consumers’ concerns are. This is why our agents stay with us. We are a law firm of sorts – or a doctor’s office. We build relationships, and those relationships are retained. We aim at building an integrity-based culture so we can work smarter and our agents can add the most value. The bottom line is: adding value to clients drives the most revenue. This is what doing the right thing accomplishes, when it comes to serving clients well. It is the nature of the referral. If people trust you, they will do business with you. We have built a trusted brand in the real estate market. Agents are taking notice from around the country. : How are you seeing the market today – is it improving? In light of this, how is your workforce evolving? Tami: Most definitely. Don’t get me wrong – short sales are still out there, but quite honestly, there is a lot of good business out there. There are “first time” homebuyers, property investments – baby boomers are looking at downsizing or purchasing a second home. The recession has hit them hard, so it has taken them a while to come out of the real estate coma that hit everyone so hard. Average age of a first-time homebuyer is early 30’s. We have to work on two sides. We need to fit the demographics as a company, and we are doing this. In the next 3-8 years, 50% of the industry is going to retire – it is a great recruiting message. How do you draw in young people, if they are commission-only and you are only as good as your last transaction? This becomes a challenge. Our sponsorship program addresses this and makes it more attractive to new college graduates wanting a career in real estate. We are seeing a lot of agents – young agents. : Tell us about your growth. Tami: We are growing aggressively across North America. Real Estate professionals are buying regional franchise opportunities in target regions, and we are excited and humbled by this growth. They are investing in us, and we in turn are investing in them. Behind their enthusiasm, they know they are building wealth for themselves as well as for their agents as they come on and take advantage of our sponsorship program. This system is a solid financial plan to help promote a positive, shared-logic-type culture that helps people work more closely together; it invests colleagues together in their mutual success. We are a very empathy-oriented company, and this shines through this program. Agents are responding. Today, we have tens of thousands of agents. Our goal is 100,000 with 3,600 offices that love our company and that serve the consumer. It is a simple vision with the right plan to make it happen. In the first quarter of this year, we are doing 166% more business than first quarter last year; this reflects our strength as a company first, coupled with the improvement of market conditions. We have a conference every year – this year it is in October in Nashville. This is a way we can recognize excellence and, of course, continue to build our culture. You should come and experience it. 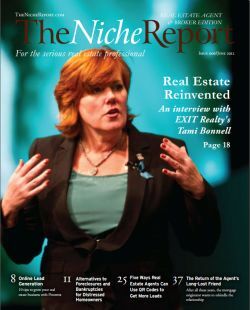 : Tami is a remarkable real estate leader. She understands what is most important for a real estate agency, and that is the purpose and primary contribution of a company like EXIT. There is a real opportunity to provide agents with a different professional path, one that enables both your own growth and the growth of those around you. This kind of culture is contagious – but you mostly value it when you’ve experienced something so negative that typically undermines your growth and not promotes it. We can expect a lot from Tami and EXIT Realty. We will provide an update toward the end of the year on the growth of EXIT and how 2012 turned the corner in real estate.